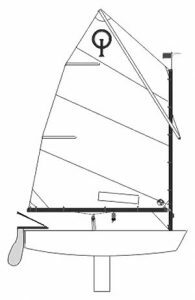 Sail First Club have a number of different boats from the young beginners Optimist up to the World Class and Proven Beneteau First 40.7 with a sole aim of using these boats to firstly teach the pleasure of racing but secondly to enable competitive racing in Cyprus. Winner of the Rolex Sydney Hobart, Spi Ouest France, Cowes Week and Voiles de Saint-Tropez regattas, the First 40 CR has a unique international reputation. Not surprisingly, Beneteau wishes to strike while the iron is hot and extend this success The newest model, called the First 40 Cruiser Racer, surpasses its predecessor with new features such as the development of a monolithic hull that can incorporate a keel depth of 2.5m. The mast with its three pairs of spreaders, racing rigging and carbon fibre spinnaker pole completes the perfect portrait of a modern racing cruiser. And yet crew comfort is not sacrificed to achieve performance and speed as the convenience and habitability of these boats is well up to all expectations of the most demanding yachtsmen. 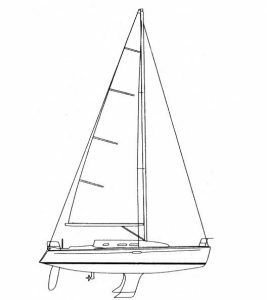 The Monotype J80 class was designed by Ron Johnston of JBoats Co, as a sports keel yacht for offshore sea-racing. Currently, the J80 is the only sports boat with a length of 8 meters (26 feet) certified as “Class B”. This allows the J80 to compete in open water areas and wind forces of up to 41 knots with wave heights up to 3 meters. This has gained the J80 a reputation as a boat with an excellent margin of safety. Having incorporated this with ease of handling into its construction, Johnston has at the same time designed a high-speed boat which, not without reason, is becoming known as “the family rocket ship!” The maximum speed of 20 knots speaks for itself. With a favourable 15 knots tailwind and a 65 square meter gennaker the boat comfortably starts planing. 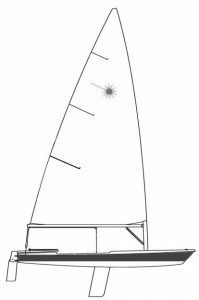 The Optimist has been designed by the American boat constructor Clark Mills in the middle of past century. Since these times the Optimist has been the most popular boat for teaching sailing to kids from the age of 6 to 16. 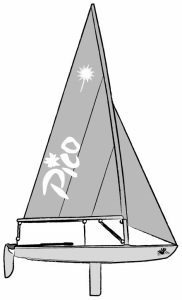 The boat has been designed to be safe and simple to sail. Nowadays the Optimist is a world recognized sailing dinghy for world sailing championships. The main body of a boat (hull) is made of fiber glass and total weight of the dinghy is 35 kg. The Optimist is the only boat that was approved by International Sailing Federation (ISAF) for teaching children less than 16 years old. Lots of professional yachtsmen started learning sailing in the Optimist boat.